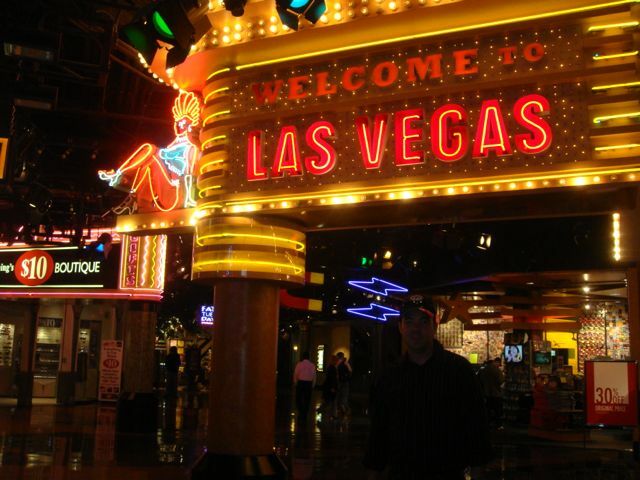 The first Hangover movie was based in Las Vegas. Las Vegas is considered Sin City. It is a very entertaining town. I think the least expensive entertainment tickets can be had in this town. Outside of the casinos, there is a lot of things to do in Las Vegas. I do not drink or gamble. So I will discuss a few of the other things you can do in the fine city. There is a race track there is you are a NASCAR fan, you can catch a race. I am almost positive there is a NHRA track as well, for all you quarter mile junkies. 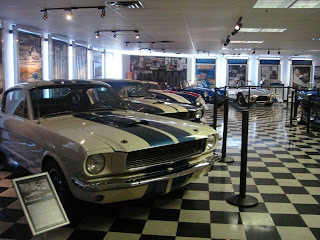 One of my favorite places to visit was the Shelby Museum and factory. Say what you will of Carol Shelby, his work on Ford Mustangs is AWESOME!!! I was able to see the history of Carol work, and see some of the new stuff he is putting together. This was before his death. I had such a great time. I was not there for a vacation, but for work. Because you can pretty much fly to Las Vegas for very little money, I flew my Sunshine out there to meet me and show her around the town a little bit. In addition, she has a cousin that lives there, so we met with her and she showed to some of the Pinoy hot spots. 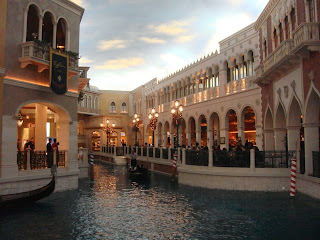 The Venetian Hotel and resort has a grand canal inside. The replica is amazing. Just walking through it is an experience. If you want more, you can ride a gondola with a singer. You can even get married on one of those things. There are shops and restaurants on either side. I think this is a must see in Las Vegas. There are two Las Vegas strips. The old and the New. The Venetian is in the new. The old Strip is pretty cool too, and I hear the payouts are better at the older casinos. Very nostalgic part of the town, and not as crowded. So if you like to gamble, or like to be entertained every night, check out Las Vegas. The construction of the city in and of itself is very interesting. We used is as jumping off point to go to the Grand Canyon. And there is some great shopping, but you will have to ask my wife about that part of town. On a side note, for all you Filipinos out there, there is a Jolly Bee in one of the grocery stores. I've been to Vegas before. Hoover Dam is another thing to do there.